Bendable & lots of fun wherever fun is needed! You love bacon and Mr. Bacon loves you. 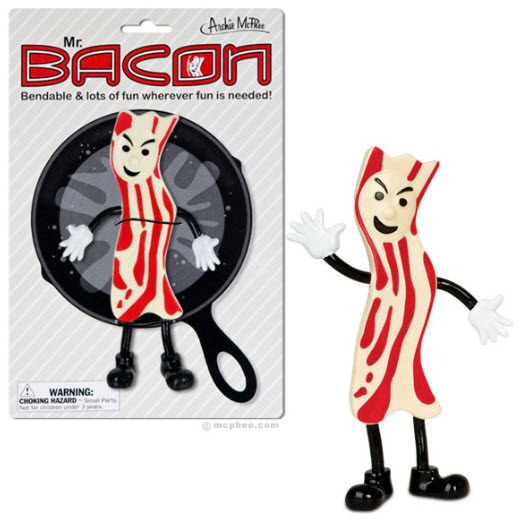 He wants to be your best bendable bacon buddy. He wants to accompany you on your many adventures. He wants to teach you how to make your life meatier. We wish you both the best. Each 5-5/8" tall figure is made of soft vinyl with bendable arms and legs.